That's how I usually describe my hair whenever I don't blow dry it, which is rarely. So on days like today, when I have a business meeting, I'm always looking for ways to get my hair looking professional but still maintain some of that designerly attitude clients like. 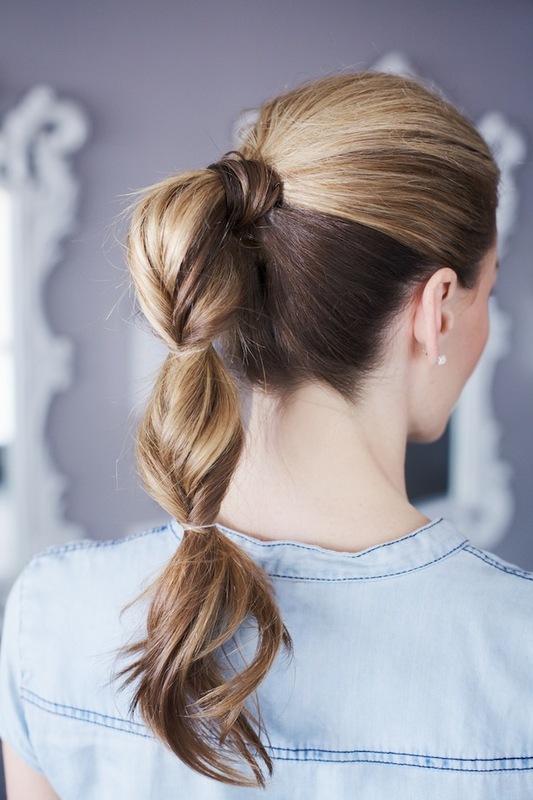 Most of the time I go for some version of the ponytail that is elegant as it is versatile to play with it. Also, for me, it is one of those hairstyles that never goes out of fashion. On the other hand, I'm a little bit more challenged with up-dos and anything that requires a french braid. The first is complicated as I have a lot of hair and have a hard time keeping it up because of its weight. The second is complicated because they always come out crooked or lose my way as I'm making it. Do you have any hair issues like mine? As for my meeting, I'm contemplating one of the options above as they are simple, elegant and probably reflect an easy going designer personality... agree? 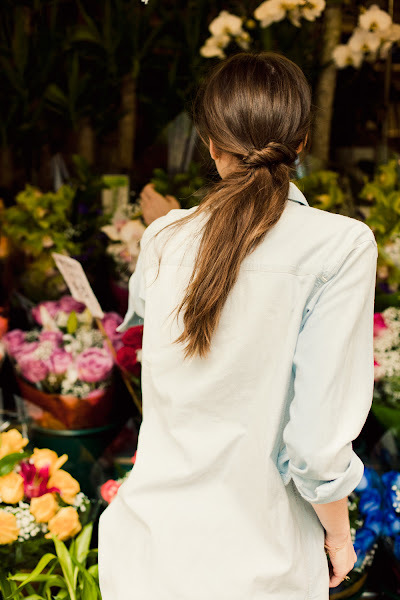 LOVE these styles–I'm pretty miserable at hairstyles, and wear my hair straight and long nearly every day!